Introducing the Zippo 2013 Collectible of the Year. Limited to 35,000 pieces worldwide, each lighter is consecutively numbered and authenticated with an exclusive bottom stamp. 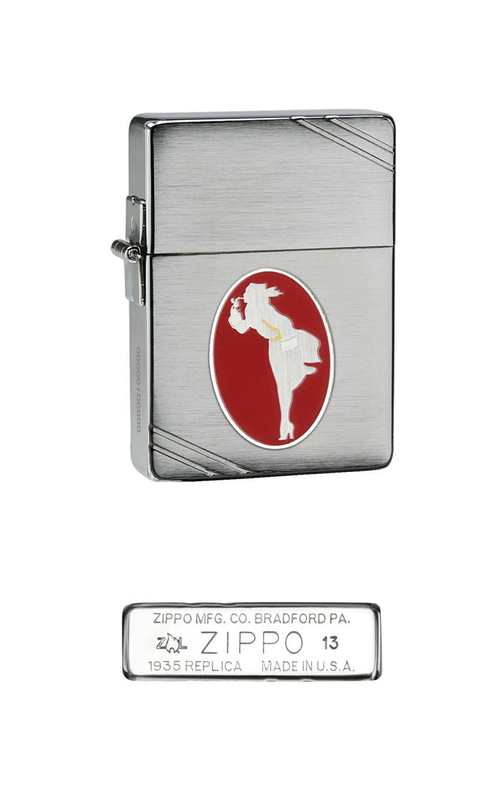 The 1935 Replica lighter features a whisper-thin emblem embellished with Windy, one of Zippo’s most famous icons. The Zippo Collectible of the Year series is back, featuring the original brand character ‘Windy,' to the delight of fans around the world. The iconic Zippo Windproof lighter has been a hugely popular collectible item for years due to the brand's great heritage. The Collectible of the Year lighter series, which started in 1992 and continued for the following ten years, is one of the most popular issued by Zippo. Only 35,000 of this newest edition have been created and are available globally this month. Since Windy's appearance in the first Zippo national US advertisement in 1937, she has personified the windproof characteristic of the Zippo lighter. The commemorative lighter celebrates her heritage and is a must-have for Zippo fans and collectors. 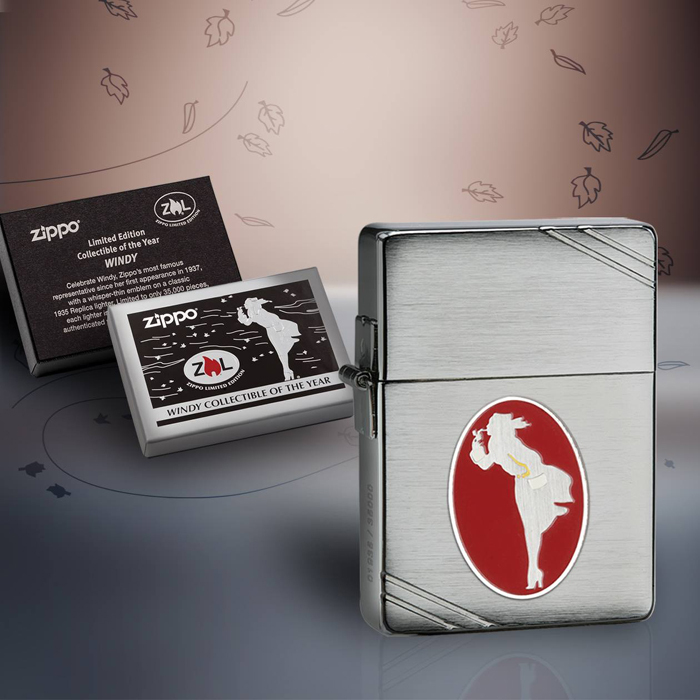 The exceptional collectible features the Zippo Windproof Lady on a unique metallic emblem. The emblem is reminiscent of the Metallique301 emblem, the first decorative emblem applied to Zippo lighters, which was first used in late 1933. It includes a special bottom stamp with the Zippo Limited Edition Logo and consecutive numbering, features that will be included on all Collectible of the Year Programs going forward. The Collectibles of the Year are some of the most sought-after Zippo editions and, after a ten year break, the series is back with a replica of the popular 1935 model lighter. The limited edition lighter comes in a special box with an embossed and red foil stamped front and includes a four page color brochure.